Ikibu casino has been around for a few years now and has a great selection and variety of slots, games and jackpots for anyone who is interested in playing online. Licensed by both the Malta Gaming Authority and the UK Gambling Commission, the security of your money and the safety of the site are guaranteed, and this means that customer account holders can concentrate on the serious fun of actually playing the games. Ikibu has gone for a more immersive experience for its users, meaning that along with the range of games available, you can also join in on the various ongoing competitions to earn loyalty points and ultimately more prizes. 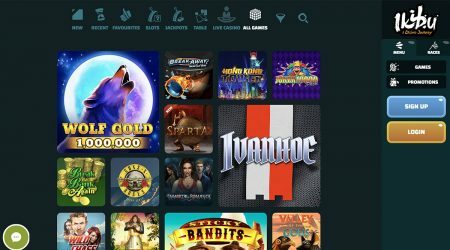 The site is easy to navigate, and you can filter your search by new, recent, favourites, slots, jackpots, table and live casino depending on your preference. Especially impressive here was the speed of the site when flicking between options – no hanging about waiting for your game to load! As with any good online casino, Ikibu does a good job of not only attracting new customers with an attractive welcome promotion but also keeping them interested once they are up and going thanks to the other bonuses. Checking back on the promotions page every now and then is a good idea as it means that once you have initially signed up for a new account, you will not miss out on any new offer. However, any big promotions and offers can be easily located on the home page. Players can also read up on all bonus terminology on the Ikibu Bonus Terms page. Online casinos know that they have to make a splash with their welcome bonuses, as there is so much competition for customers these days. Ikibu has got this just right. Getting more chances to play is always a good thing, and the 100% deposit match offered on the Ikibu site is just the thing for any new customer account holder. After you have signed up for a new account with Ikibu, you need to make a deposit into your account to start playing the games on offer. There is actually the ability to play for fun on nearly all the slots and games to get the hang of them before playing for real, but if you want the chance of winning some money, then you will need to pay. Ikibu will match your initial deposit by 100% up to a limit of £100. This means that if you put £50 into your account, Ikibu will add another £50. New customers will also receive 2,500 seeds. These seeds are the Ikibu version of a loyalty scheme and can be exchanged for all sorts of things on the site. The really good thing about these seeds is that they can be swapped for 50 free spins, so you are already getting some great freebies. If that wasn’t enough, you will also get another 50% match from Ikibu on your second deposit – and another 2,500 seeds. That’s potentially another 50 free spins as well as the free games credits just for signing up and making your first two deposits. As with any online casino promotion, there are a few terms and conditions attached to the deal, and these include some wagering requirements that must be met. 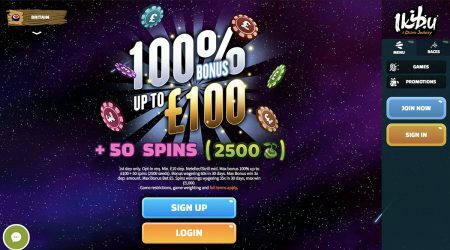 Once you have deposited at least £10 into your new Ikibu account, you will get the deposit match and the seeds to activate your free spins. There is a 60 times wagering requirement on the deposit match bonus and 35 times wagering on the free spins. The free spins also need to be claimed within seven days. You will have 30 days to use up your Ikibu deposit match bonus. There are certain games and slots that will not be included as part of these wagering demands, so it probably pays to take a look on the site first before you start playing. 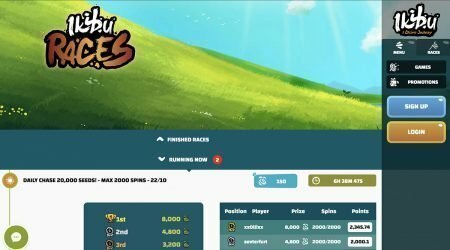 The people behind Ikibu obviously wanted to bring in a gameplay element to the site not only to boost involvement felt by the players but also to give customers an additional way of winning money. The whole idea behind the “seeds” is that you are going on a journey on the Ikibu site – and as a customer account holder, you are travelling between villages in the Ikibu universe. To reach the most remote villages in this world – where there are even more chances to collect the all-important seeds – you are expected to play more games and slots and keep the adventure going. To help with the journey, Ikibu has a weekly promotion – Monday’s Champions – in which the “Ikkis” (as players are referred to on the Ikibu site) who make it to a new village at the start of the week are rewarded with even more bonus seeds for their account. Remember that these seeds can be exchanged for a variety of bonuses, including free spins on games on the site. The other added element to the Ikibu experience is the races section. These are daily promotions where more seeds can be won. You can see exactly when the next race is and what the potential winnings will be. The rewards can be pretty big, so if you like the gaming feel to Ikibu, then this could be a really good way of building up your seed store. Although the Ikibu journey is a great idea to keep players interested, it is not vital to the enjoyment on the site. If you want to keep your concentration solely on playing the various games and slots, then you can always rack up the seeds in the background and use them when you feel like it. 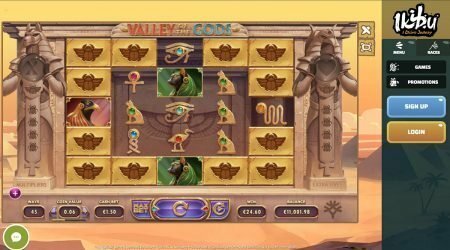 As for the games, there is a great selection on offer, and whether you are a fan of the traditional table game or the latest slot, you should be able to find something to suit here without much fuss. With over 800 games in total, Ikibu account holders are not going to get bored, and whether it is the excitement of Hong Kong Tower, the fan tie-in of Guns N’ Roses, or the sophistication of a blackjack table, there is plenty on offer. For a little bit more interaction, there is also a live casino section with roulette, poker and baccarat – and variations of each – where you play with live dealers. The search function here is good – with so many games to choose from, you could be forgiven for not finding the game that you wanted straight away. You can either use the main section filters for a more general breakdown, or you can enter a named search yourself to get the right game every time. After the selection of games – and the size of the welcome promotion – most people are interested in how they can look after their money while they are playing at an online casino such as Ikibu. The good news is that there a number of ways that money can be deposited in and taken out of your Ikibu account. All deposits and withdrawals come with no transaction fee, and if you are putting money into your account, then it should show up just about instantly. Withdrawals are also pretty quick compared to some of the competition. You are able to use Visa and Mastercard debit and credit cards, Skrill, Neteller, paysafecard, Trustly, ecoPayz or a bank transfer. However, it should be noted that you will need to use the same payment method to make your deposits and withdrawals. Although most of the time, you will not need to get in touch with an online casino, it is good to know that there is help on hand just in case you ever need any assistance. The first thing to say is that there is a really good – and comprehensive – FAQs section on the site, covering everything from signing up for an Ikibu account to asking how long your seeds will last. If you have a general question about Ikibu, then you are likely to find your answer here. However, if you do need a little bit more help, then you can always drop the company an email – or for a more immediate response, you can use the live chat feature. That way, you can get any problem solved and continue playing. Sometimes, online casinos have loyalty or VIP programmes that do not really add anything to either the overall enjoyment of being on the site, or even your chance of actually winning anything. However, the idea of a journey and the challenge to get seeds really works at Ikibu and does create a feeling of involvement, even if you just want to get on with playing the slots. Ikibu is a safe and secure site with enough game options to keep anyone interested. The well-designed layout and usability of the Ikibu site is also a big plus. Why not begin your Ikibu journey today?